If you filed your taxes weeks ago, you may have already received your refund. If you waited until the last minute, your check will soon be in the mail. Either way, the prospect of some extra spending money is exciting! 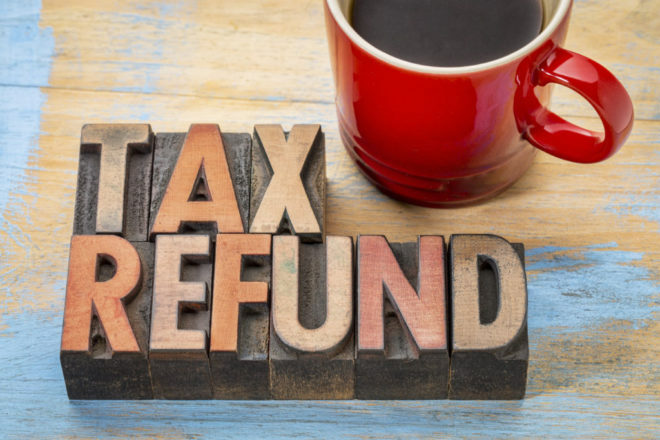 Many people already have a list of plans for their tax refund money, but the experts at Broussard Poché, LLP want you to be smart with your refund. Let’s talk about a few things you should NOT do with your refund. Don’t buy lots of little frivolous items – There’s no need to run out and get new sneakers! Don’t blow your entire refund on a few nights out on the town. Steer clear of all the little things that can eat away at the money. Don’t Buy a New Car – Just because you have enough for a good down payment now, does not mean you should jump head first into a new car loan. If your old car is still running fine, save money here and there for the down payment. In a few years, when you actually NEED a new car, then make your move. Don’t Let it Sit in a Checking Account – The idea of wanting to save your refund is not a bad one, but checking accounts are not the place for safe keeping. It’s too tempting to spend the refund on lots of small items when the money is just sitting there. Alright, now that we’ve covered what to avoid, let’s talk about what you should be doing with that tax refund check. Start Emergency Fund – This is your chance to get a leg up if a disaster strikes. If you get sick and miss a few days of work, you won’t have to fret over the lost wages. If your car suddenly needs major repairs, you have the money to take care of it. Invest – Look into a mutual fund or a Roth IRA. Mutual funds are perfect for achieving long-term financial goals, like owning a house. Roth IRAs are great for kicking retirement savings into high gear! Start a Side Business – This money could be a great way to invest in YOU! Use the refund as seed money for your own business. And guess what, business expenses will be tax deductible for next year! Home Improvement – Do one of the more major home improvement projects you’ve been putting off. Perhaps a new kitchen, or roof? Maybe you could make your house more energy efficient, leading to larger saving in the long run. Home improvement projects can increase the value of your home. Invest in Education – You could start a college fund for your children or maybe you could pursue a degree that could help earn higher income. Spending money on education also comes with tax breaks!